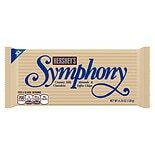 Shop Hershey's Symphony Candy Bar (4.25 oz. )4.25 oz. 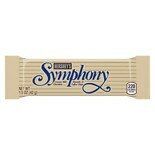 Shop Hershey's Symphony Milk chocolate Candy Bar Almonds Toffee (6.8 oz. )6.8 oz. 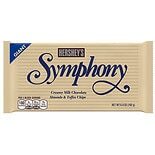 Shop Hershey's Symphony Milk Chocolate Candy Bar Almonds & Toffee Chips (1.5 oz. )1.5 oz.